Also called hair stylists and beauticians, cosmetologists use tools and equipment to alter the appearance of their customers. Through professional training and high-quality tools, they utilize their creativity to wash, set, cut and style hair as well as apply cosmetic and business treatments. The right tools and equipment can make all the difference in a cosmetologist's ability to generally satisfy clients. 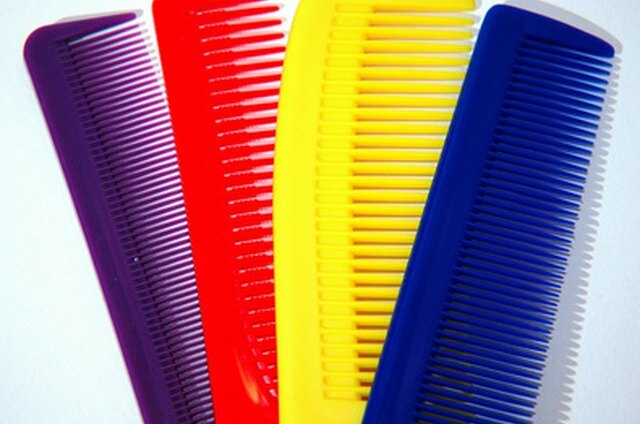 The beautician should have combs and brushes in various sizes, and this should include soft and hard-bristled brushes and combs with different tooth thicknesses. A cosmetologist should also have detangling combs, which work best for wet hair. 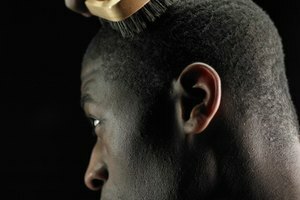 There are also specialty combs for creating certain looks such as hair-teasing combs which create hairstyles with volume. Bristle strength and hardness contribute to different styling options in both brushes and combs. These are a staple in the kit for a cosmetologist, and a beautician should have at least two different pairs of shears or scissors. One pair should be a regular pair used for cutting; the second should be a smaller pair for bangs. Trimmers are also necessary to handling closer cuts and the grooming of beads and mustaches. Some scissors have teeth; these are ideal for hair cutting because they create a layered cut rather than a blunt one. A cosmetologist will have numerous different treatments on hand ranging from shampoos and conditioners to hair sprays and gels, highlights and dye products. Each product is meant to serve a different purpose, though cosmetologists can utilize creative license to use these treatments in different ways, creating distinct hair styles in the process. The blow dryer is an essential tool for cosmetologists, as many hairstyles are achieved through blow drying, though others require a wet set. For wet-set hairstyles, a professional hood dryer is used along with soft rollers and pins or clamps. Curling irons are also utilized by cosmetologists as a means of setting curled hair, and cosmetologists may keep several different sizes of curling irons on hand ranging from 1/4-inch barrel to 2-inch barrel. Hair pins and clips come in handy while cutting, styling and treating hair styles. A cosmetologist will use pins and clips to separate the hair for dyeing or may use pins to hold curlers in place. Clips and pins come in different sizes, shapes and types to suit a variety of different purposes in a cosmetologist's salon.